We can transform your bathroom with our stylish, affordable products in as little as one day! Are you looking for ways to add style, value, and functionality to your home? Consider an affordable West Texas bathroom remodeling project. 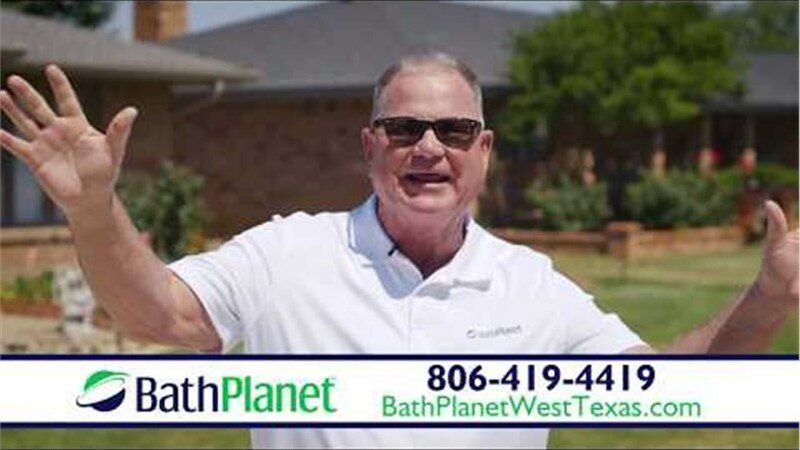 Bath Planet of West Texas has provided quality updates for homeowners throughout the area for nearly 20 years—and we’ve built a solid reputation for excellence one job at a time. Our A+ accreditation with the Better Business Bureau and many glowing reviews from past customers speak to our willingness to go the extra mile on every job. Our customers are our first priority, and we’ll do what we can to exceed their expectations and ensure they love their new bathrooms. Looking for a professional, competitively priced San Angelo bathroom contractor? Look no further than Bath Planet of West Texas! Exceptional Bathroom Remodeling. Impressively Affordable Prices. Bathtub Replacements: Our San Angelo new bathtub options are available in dozens of style and color combinations, so it’s easy to find something that will complement the other design elements in your space. Shower Replacements: Leave the hassle of daily scrubbing behind! Our San Angelo shower replacement products are easy to keep clean and fresh without the need for harsh chemicals and constant maintenance. Bath Conversions: Whether you have a tub you never use or need a tub your bathroom lacks, our bath conversions are a fast, affordable solution. Walk-In Tubs: Those with limited mobility can step into the safety of a walk-in tub. Our tubs boast all the safety features you need along with luxurious touches you’ll love. Don’t live with a bathroom that doesn’t meet your needs when we have affordable options that can be installed in just one day. Contact us to learn more about our top-rated products and expert service. Call Bath Remodelers of West Texas, or fill out our brief online form to request a free, no-obligation design consultation and estimate.